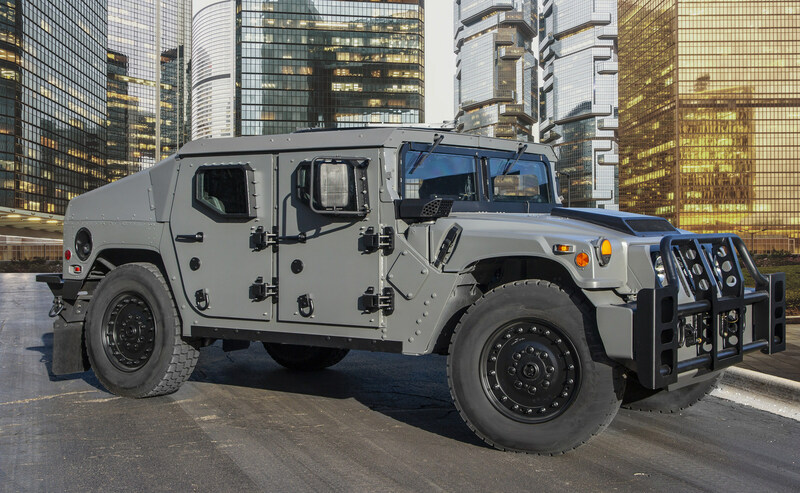 Global vehicle solutions provider AM General continues to innovate and redefine the light tactical vehicle segment with the debut of its next generation light tactical vehicle, the NXT 360. This new product offering highlights evolutionary changes to the already proven High Mobility Multipurpose Wheeled Vehicle (HMMWV) platform and is on display at the Eurosatory 2018 Defence & Security International Exhibition in Paris, FranceJune 11-15, 2018 Hall 5A, Stand B387 – U.S. Pavilion. "What excites me about the NXT 360 is our ability to intently listen to the customer and utilize our engineering expertise to develop and deliver a solution that builds on the core strengths of the successful HMMWV platform. The NXT 360 provides added protection, payload capacity, and superior handling performance to perform in any rugged or urban environment," said Andy Hove, AM General President and CEO. "Eurosatory is a great venue that will allow our global customers to get a first look at this versatile truck that can enhance their light tactical wheeled fleet in a timely and cost-efficient manner." Much like many of the unique product variants that are offered by AM General, the NXT 360 can be delivered as a complete new vehicle that can be incorporated into new missions, or as an upgrade kit that can be integrated into existing vehicle fleets to gain the same advanced capabilities.